Typical rural houses near Nara. It is late April or early May as can be seen from the Koinobori streamers fluttering in the wind in celebration of Boy’s Day on May 5. 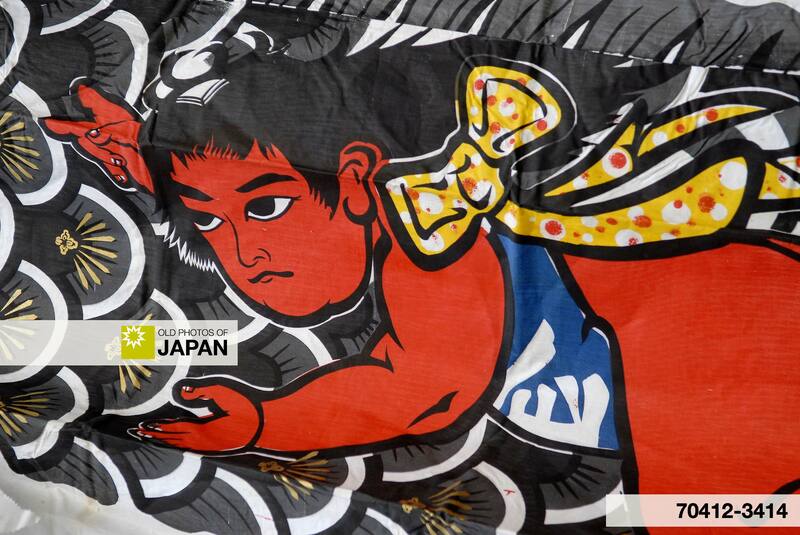 Often koinobori contain a drawing of the mythical folk hero Kintaro. The carp symbolizes endurance, while Kintaro was a child of superhuman strength and courage, so his image is used in the hope that the sons of the house will become equally brave and strong. Kintaro’s story is believed to have been based on the life of a warrior called Sakata no Kintoki (坂田公時) who lived during the Heian Period (794-1185). There is a shrine, called Kintoki Shrine (公時神社 or 金時神社), dedicated to Kintaro at the foot of Hakone‘s Mt. Kintoki. 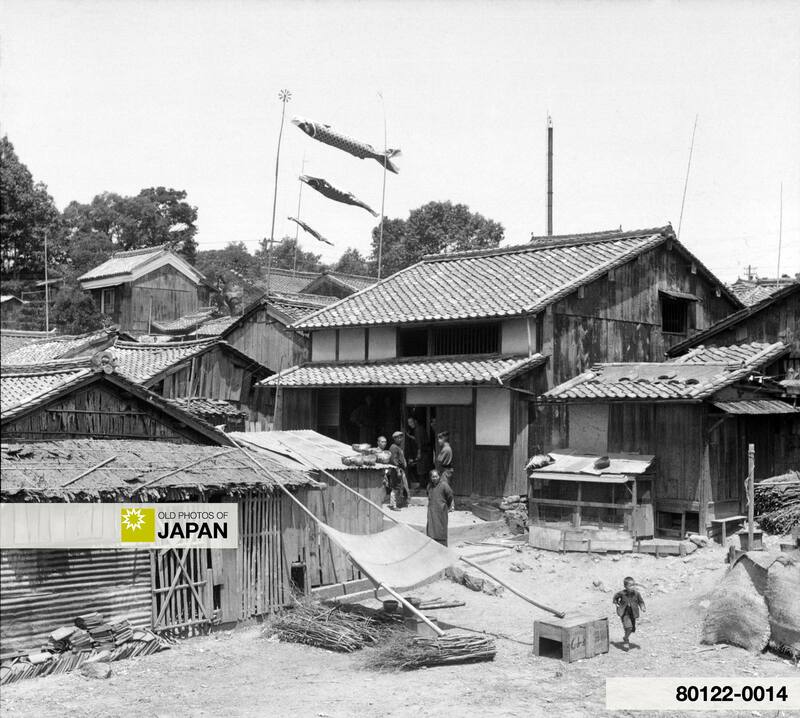 You can also licence this image online: 80122-0014 @ MeijiShowa.com.